Dr. Ashish Bhatia, completed his MBBS from MSR Med college, Bangalore, India and his DNB in Pathology from National Board of Examinations, India. Following his PG Diploma in Clinical Pathology from Armed Forces Medical College, Pune, India. He did his second masters, MSc in Healthcare Management from the prestigious Swansea university in the UK. In addition to Clinical Pathology, he has attended various courses in Transfusion Medicine held by the National Health Services Blood Transfusion, UK. He received training at the University of York, UK, in principles and applications of flow cytometry. Dr. Bhatia has also been certified as ‘Six-Sigma – Green belt’ by British Standards Institute (BSI). Dr. Bhatia has held various positions in the field of pathology and transfusion medicine across India and the Middle East including Saudi Arabia where he was employed by the Ministry of Health as Specialist, In charge - Blood Bank for one of their 450 bed maternity hospital. He has worked with some of the renowned organisations in laboratory medicine such as Dr. Lal Path Labs and Metropolis laboratories during his tenure in India. 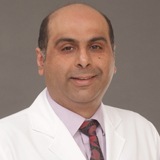 Dr. Bhatia has over 16 years’ resourceful experience in Pathological Lab Operations including Blood Bank. His expertise includes management of laboratory operations, new business development with the help of projects / new lab set ups, sales & marketing, administration, training and development. He has demonstrated proficiency in conceptualization and execution of successful project plans for establishing pathological laboratories and generating new business through organic and inorganic resources. Dr. Bhatia’s focus remains maximizing efficiency in the clinical laboratory and all activity of the hospital with special interest in process improvement. He can speak English, Arabic and Hindi.